Today there are more people using wheelchairs, power chairs and medical mobility devices than ever before. 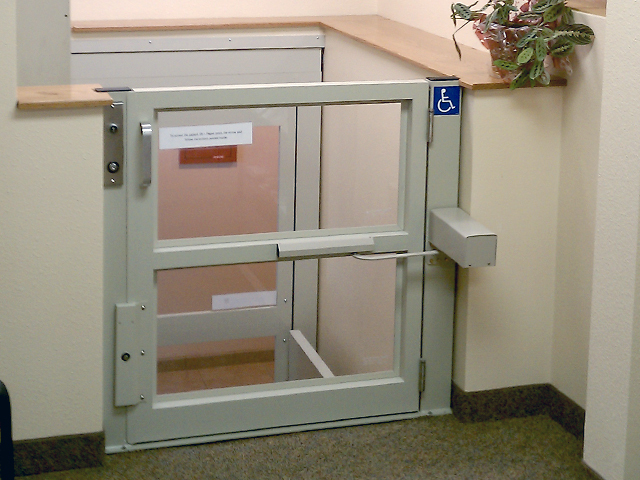 This means homes and offices need to have durable and dependable lift systems that can safely and quickly transport people and their mobility devices. 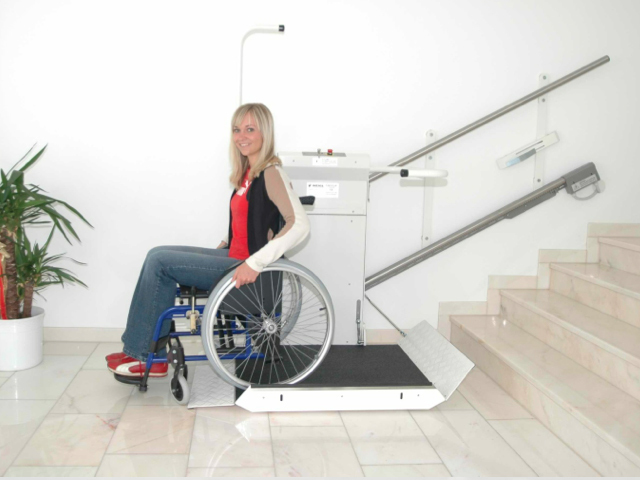 At Nationwide Lifts we offer a great selection of wheelchair lifts and platform lifts that are comfortable, quiet and convenient. 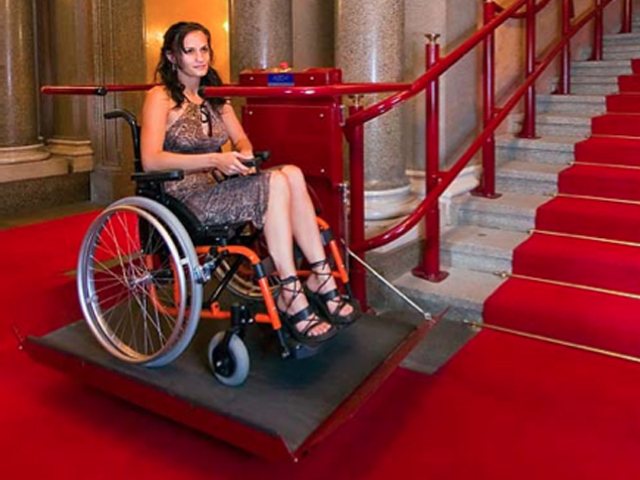 Whether you need a high quality wheelchair lift for the home or a church, Nationwide Lifts is your source for affordable wheelchair lifts. 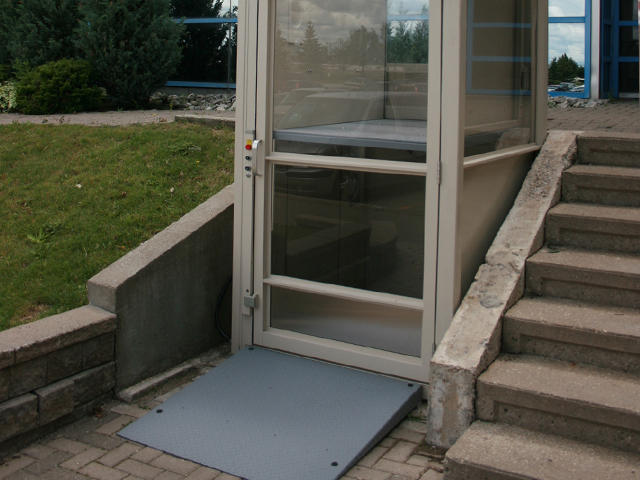 This convenient and affordable platform lift can support up to 750 lbs, travel up to 14 feet and has a safety under-panel sensor to detect any objects in its downward path. The screw drive works well for indoor and outdoor applications. 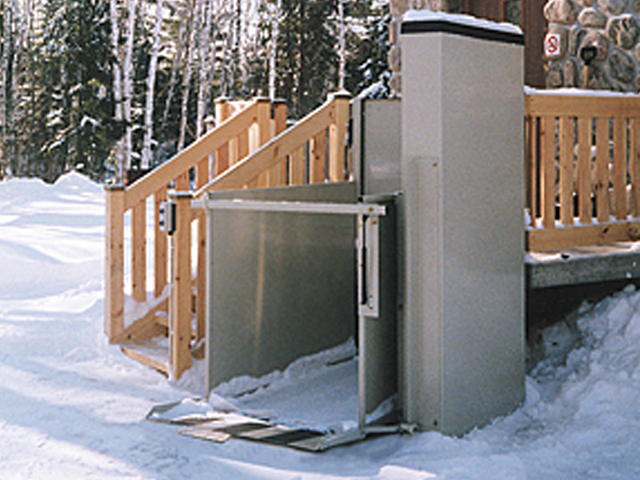 Great for residential and commercial settings, the Apex Hydro is a dependable platform lift that operates smoothly and quietly. 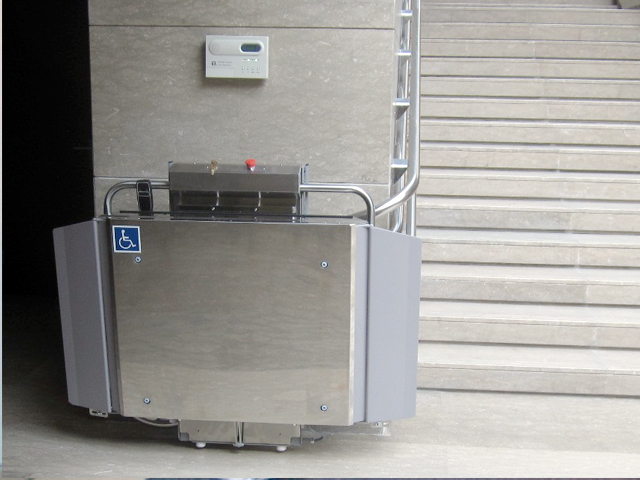 Capable of supporting up to 750 lbs, featuring a hydraulic drive system and a standard can platform that measures 36" wide by 54" deep (other sizes available), the Hydro is a dependable wheelchair lift system. As the name suggests, the Apex Complete has it all. 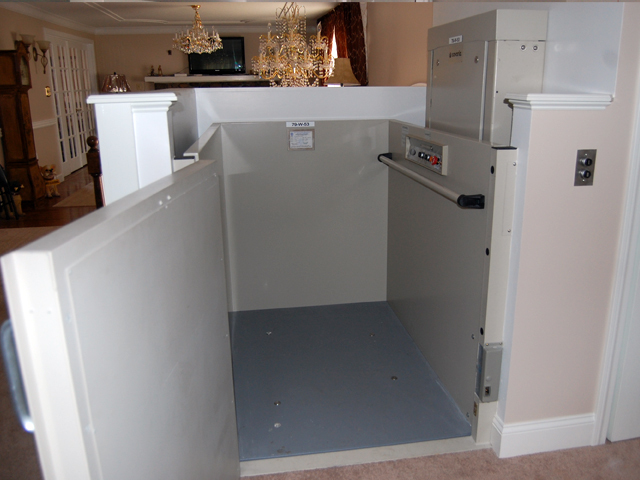 The enclosure is included to match the wheelchair lift. Choose from painted steel, clear acrylic or tinted acrylic panels to blend in with your home or office interior. 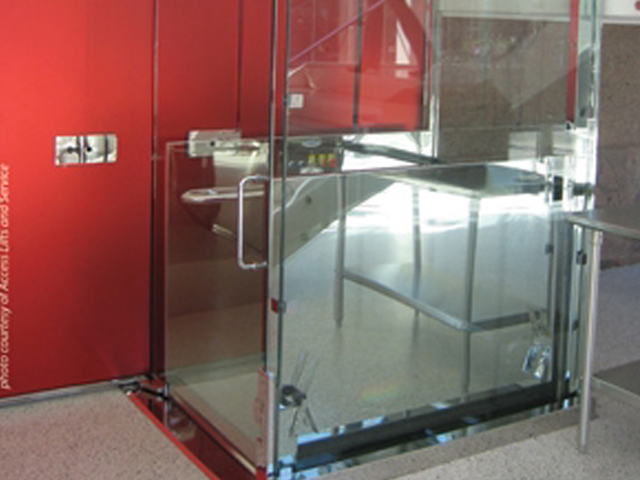 Defined by quality and luxury, the Apex Elite is a sleek wheelchair lift system that can be ordered in your choice of stainless steel or brass finish. 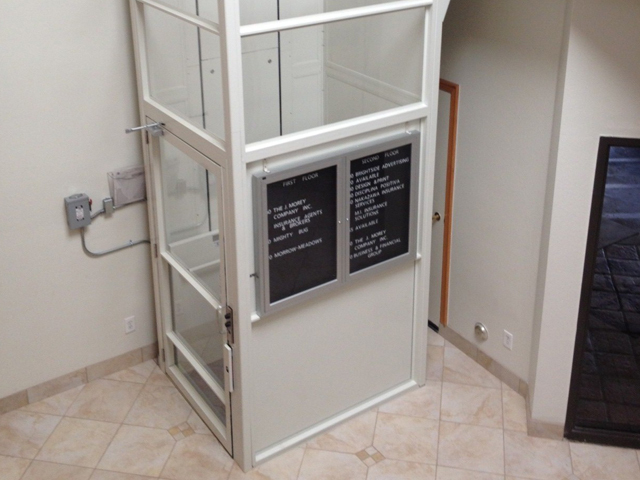 This model can support up to 750 lbs, features glass panels and glass doors. 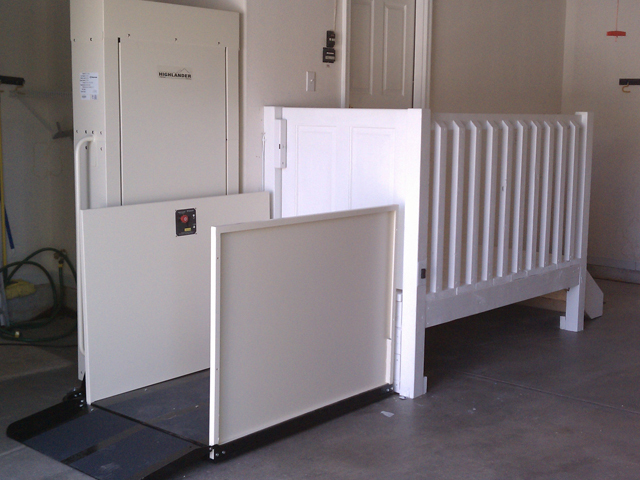 This platform lift for straight stair cases can be ordered with either 550 lb or 660 lb capacity. 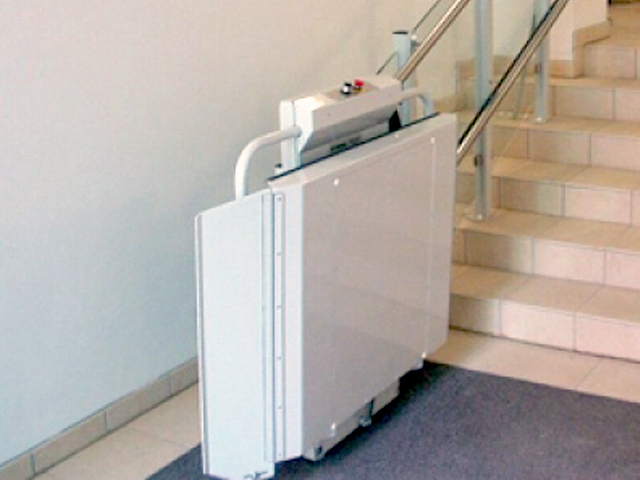 With an optional auto-folding platform and travel capability of up to 82 feet, the Delta IPL is an idea platform lift for offices and churches. Don't let curved stairs and multiple levels discourage you. The Omega IPL is able to circumvent all corners and effortlessly travel through all floors. 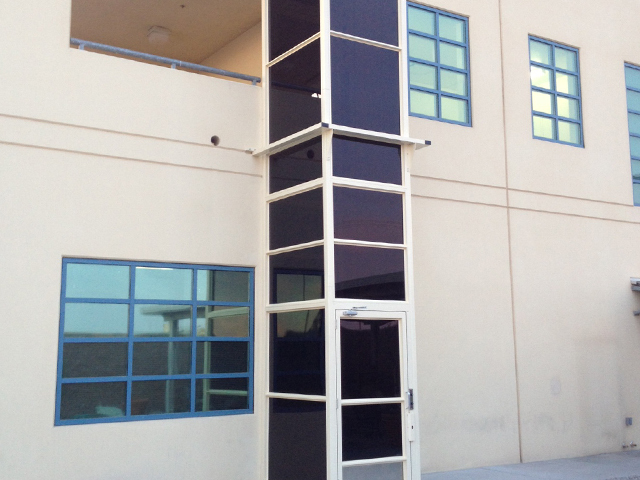 With a 550 lb capacity and cable drive system this is a perfect addition to any commercial building.